I try to keep my inbox pretty clean. I only keep 30 days in my inbox before archival, try to setup rules to route and filter the noise, etc. I thought it would be cool to analyze the stats on my inbox. 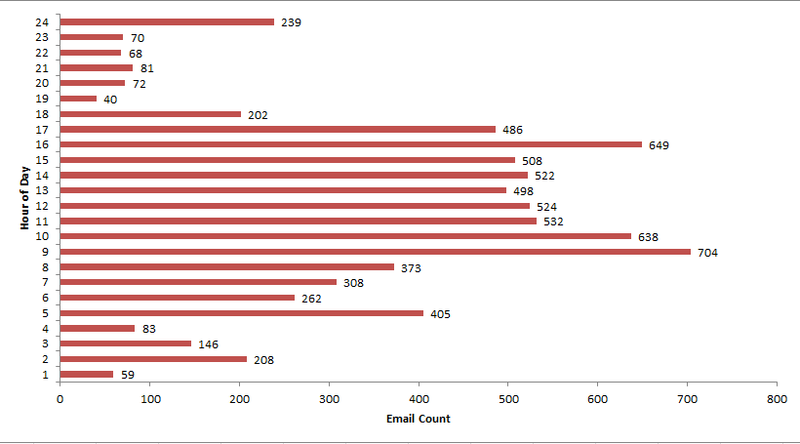 My inbox is pretty small compared to others, however there are some cool insights to gain from just 30 days of email. This process will work for larger inboxes as well. I wrote a Script to parse Outlook Inbox. The output is a CSV file that you can use to analyze various things about your inbox. 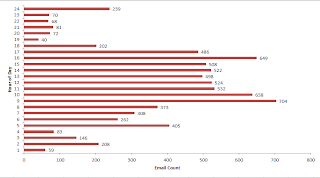 To Parse a folder in you inbox you can do this Using a BULK INSERT Script to load the data into SQL Server I was able to start generating some graphs. 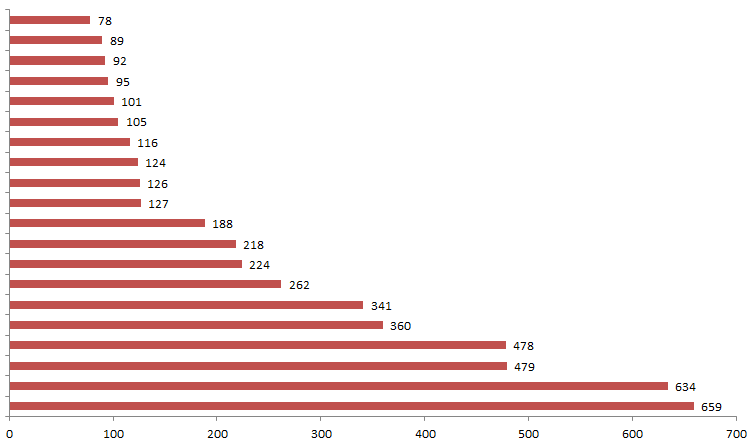 Here is a graph showing the top 20 senders to my email box. I left off the names to protect the guilty. 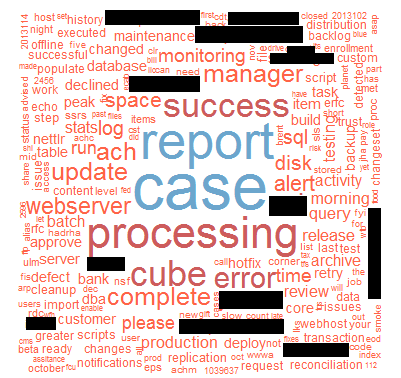 Busy email hours are 8am, 9am, 4pm etc. With an update to Office some of my PowerShell code stopped working so I am adding the VBScript to parse Outlook as well. Not surprising the majority of extreme accelerations occur near an on-ramp for the various highways I enter and exit on the route. Also not surprising is that the majority of extreme accelerations occur on the commute home instead of the commute to work. My fellow drivers are just as anxious to get home as I am. I found an issue with the data. For some reason dates before 4/01/2013 have cut off the time element of the data field. I am working to re-import that data to clean it up and then I will continue with the other 2 aspects of aggressive driving.